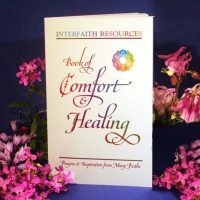 The book focuses on the Holy Land, that small turbulent area in the Middle East which has played such a vital role in religious history – a land held sacred by Jews, Christians, Muslims, and now Bahá’ís. 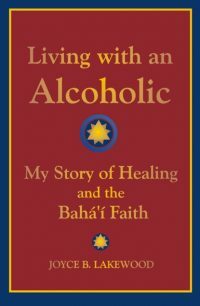 Here is the fascinating story of the creation in the Haifa-‘Akká area of the Holy Places, and the spiritual and administrative World Centre of the Bahá’í Faith – a process which began in 1868 and is still continuing. Eunice Braun has been involved with books for most of her life, as writer, editor, book designer, and publisher; for twenty years she was Managing Director of the American Bahá’í Publishing Trust. As an avid world traveler, she has visited the countries and scenes of which she writes in this book. Hugh E. Chance practiced law in Iowa for twenty six years, except for Service in the US Navy during the last World War. He became Secretary of the National Spiritual Assembly of the Bahá’í of the United States in 1961, but in 1963 was elected to the Universal House of Justice at the Bahá’í World Centre. 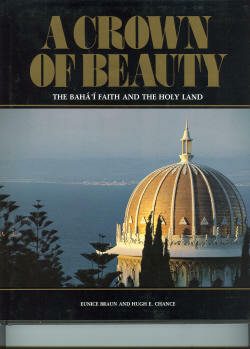 His keen interest in the history of the Haifa-‘Akká area is reflected in his conception and design of ‘A Crown of Beauty’.